The Spruce Creek Trails Association was chartered in 2003 as a Tennessee Not For Profit corporation and is governed by a board of directors elected by the membership. Maintenance of the approximately 13 miles of horse/hiking trails within the Spruce Creek residential development is funded solely by membership fees and donations (click Trail Map Icon above for the latest PDF version of Spruce Creek Trails). Membership is voluntary. We are a social organization with 100 plus members ready to ride horses, hike, or just enjoy our beautiful piece of East Tennessee. 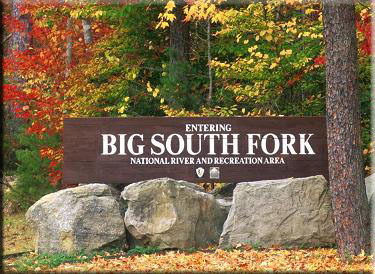 We are truly blessed to have several direct access routes into the Big South Fork National River and Recreational Area horse/hiking trails for use by our members and residents. In addition to volunteering to work on our own trails, our members "give back to our outdoor community" by participating in several National Park Service trail workdays and special projects every year. We are proud to have provided funding and many hours of manpower for the reroute of the Proctor Ridge Trail within the BSFNRRA 2012 and 2013. We will continue support for this Park Service Adopt A Trail Program. On the social side, our "last Saturday night of the month" spring to fall, potluck dinners and campfires are legendary. We also provide a band at the covered pavilion for most major holidays to give our members a chance to meet and mingle. Check out the events calendar for more information. Our association activities are open to members, their families, and guests. New residents and property owners who want to get to know us are also always welcome. Ya'll come! This website gives comprehensive information on our association. So check us out--whether you are a member, property owner, want to become one, want to talk horses, want to go riding, want to find the best hiking trails, want to swap, buy, or trade something with us, or just want more information about our area. Remember: Obey the rules, wear a helmet, and enjoy the trails. Spruce Creek Trails Association ©2013.